So I have been feeling a little need for sweets, and have been doing really well with not buying anything processed, or at least sugar laden. I have been wanting something sweet and sugary, which meant I needed to make something quick before my cravings took over my mind! 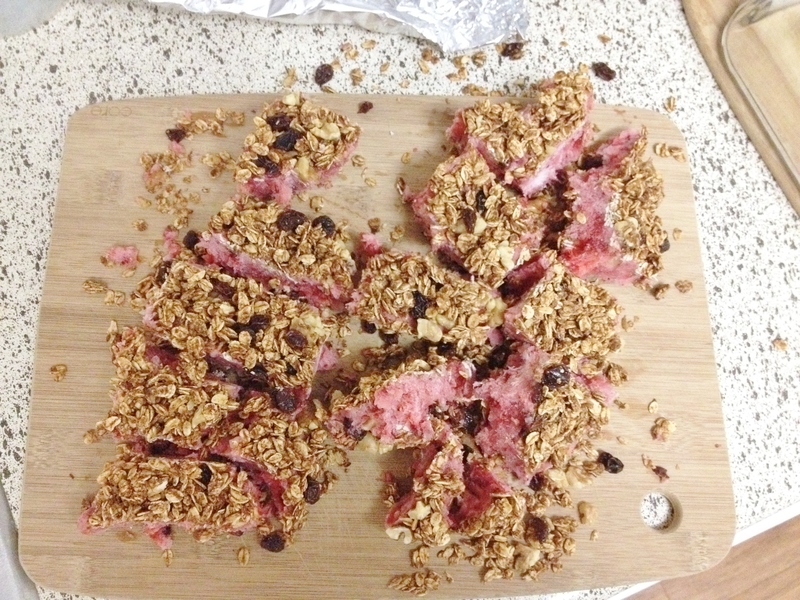 Here are some Frozen Yogurt Bars – Vegan and GF! So I saw a pin on the So Delicious Dairy Free Recipes board for Coconut Cranberry Pistachio Bars and they looked really good and creamy – kind of like a peppermint bark with white chocolate. But it wasn’t! It was cultured coconut milk. And it was only three ingredients! Then I saw another pin, one of those ones that are all over Pinterest, that was for cheesecake bars. With all of those influences I quickly decided this was the sweet for me. Some healthy frozen bars. Bars full of homemade clean and sugar-free granola. Some frozen mixed berries. And some so So Delicious Greek vanilla yogurt. All that to make a super yummy frozen yogurt bar. 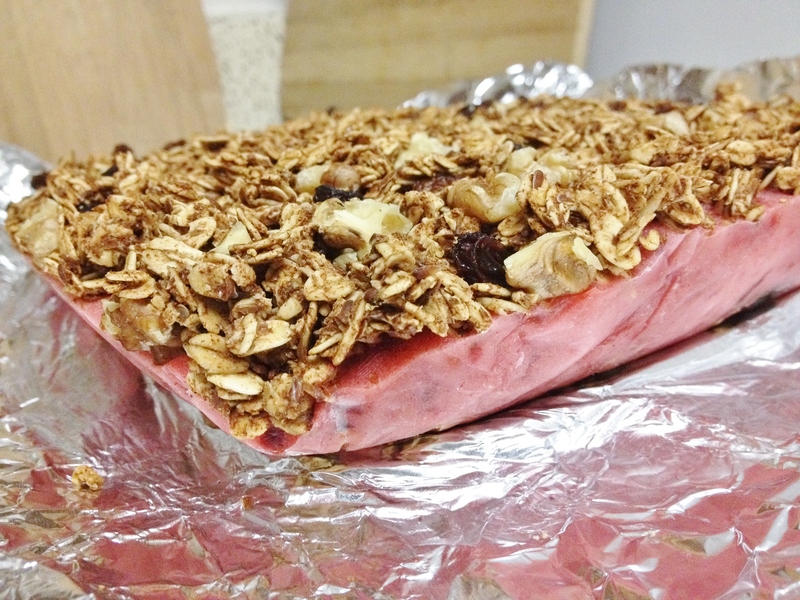 First take your frozen fruit out of the freezer to defrost then make your granola. 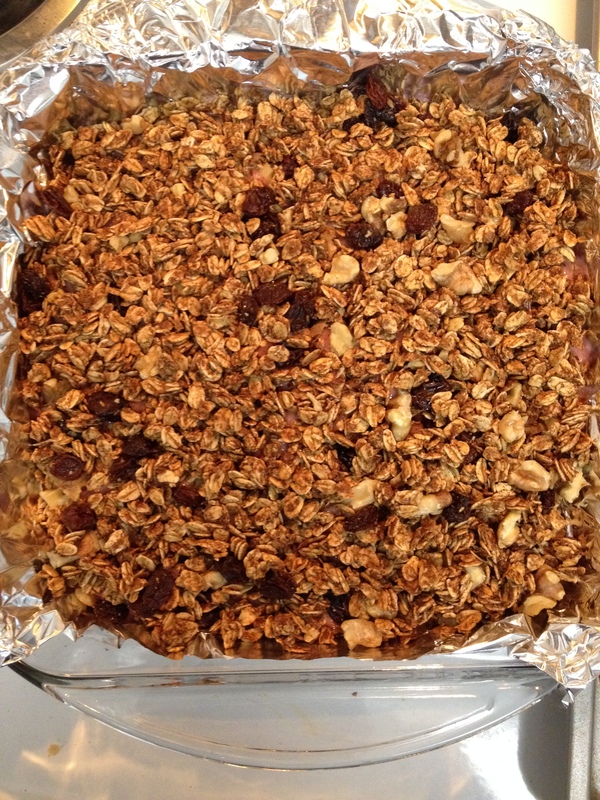 This granola is just a few ingredients: oats, flax meal, cinnamon, maple syrup, and coconut milk. Mix all those ingredients than bake at 250 degrees for 30 minutes. Take out and add your raisins and chopped walnuts if using, then mix it all and flatten back out and bake for another 20 minutes at 275 degrees. After taking out your baked granola, pour your defrosted fruit into a bowl and mash with a fork. 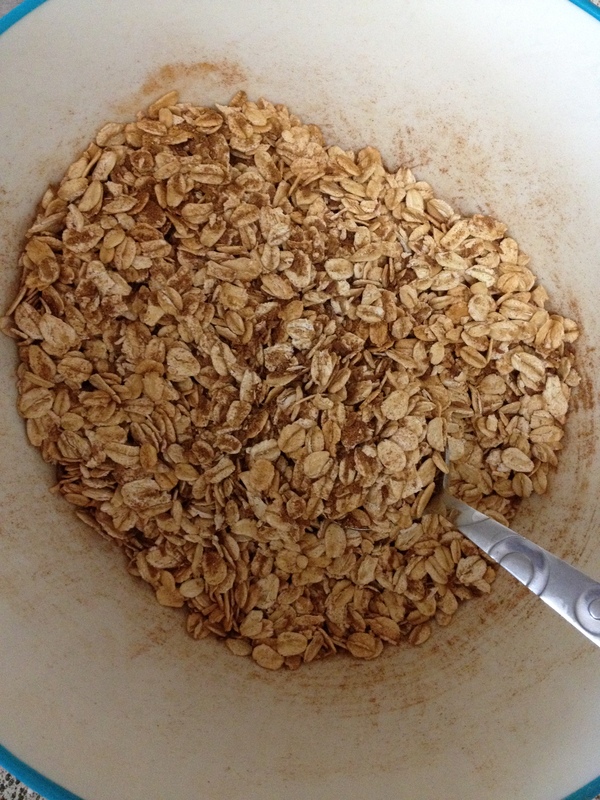 Add the cinnamon and keep mashing. 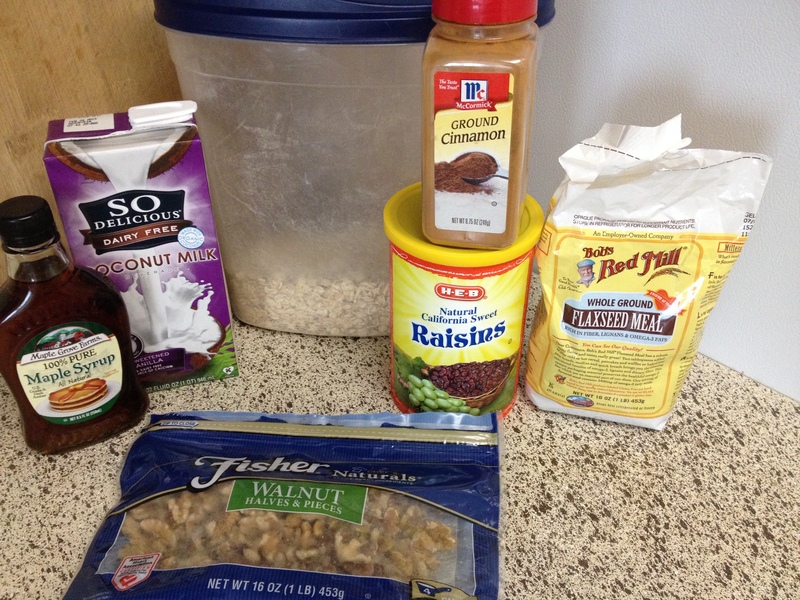 Add the yogurt and mix it all together. 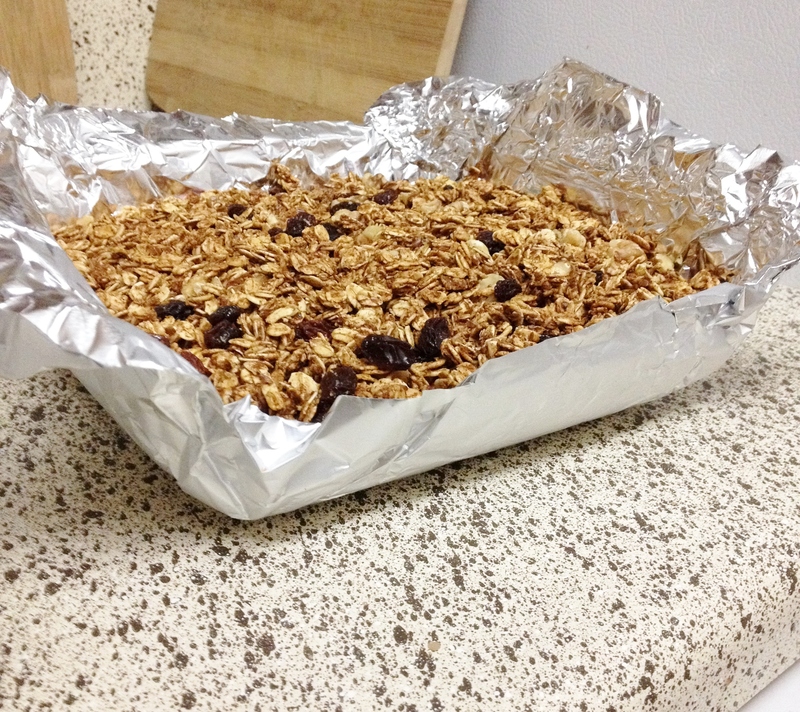 Line a square pan with tin foil then spread half the granola onto the bottom of the pan. 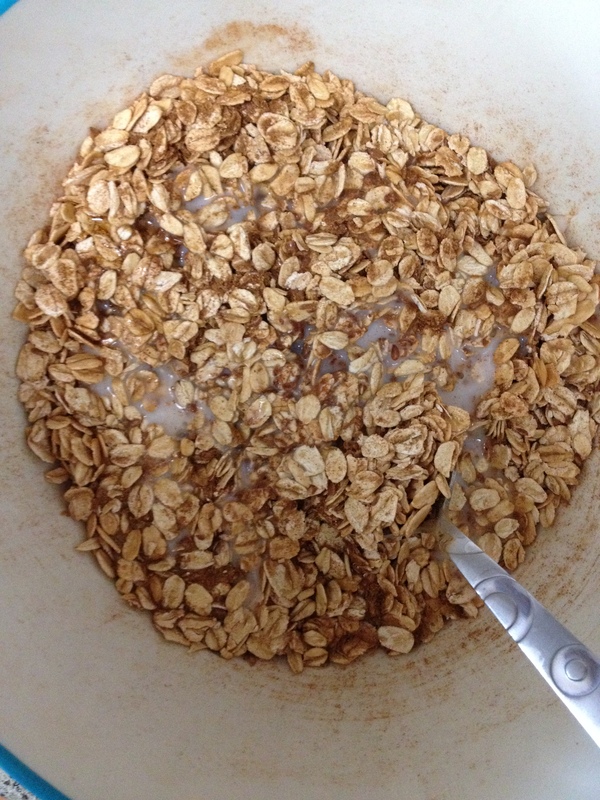 Add yogurt and fruit mixture then top with the rest of the granola and mash gently into the top. Freeze until completely hard…probably overnight…Unless you are making them for a dessert of guests – then freeze just until solid then cut. If freezing overnight, take out of freezer then out of pan then out of foil and let sit for about 20 minutes then cut and portion. If keeping frozen treat these babies like popsicles. 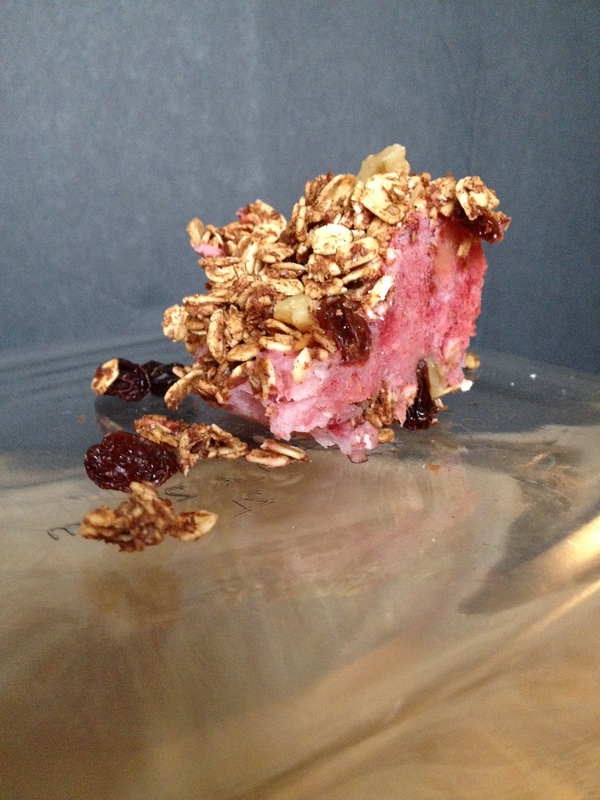 Also-the granola is awesome but crumbly, so be sure to serve with a napkin. 1. 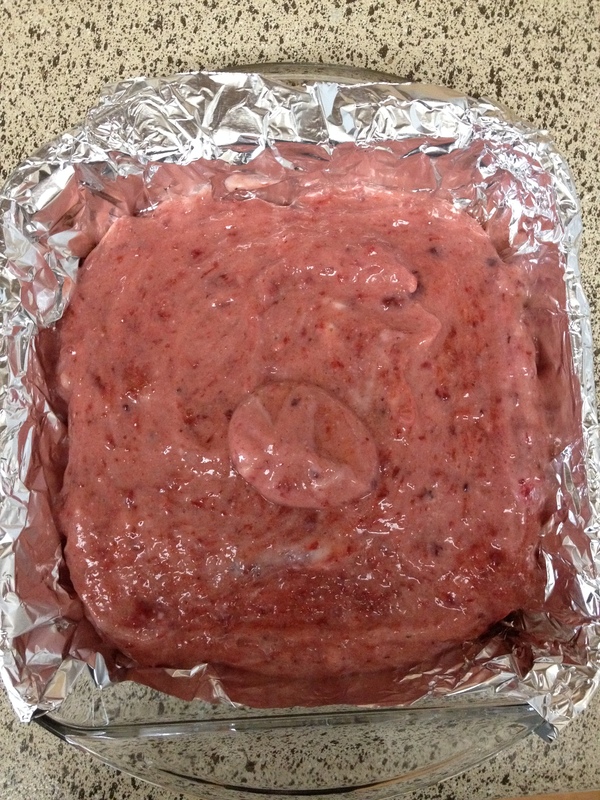 Take berries out of freezer about three hours before sticking bar mixture into freezer. 2. Turn oven to 250 degrees. 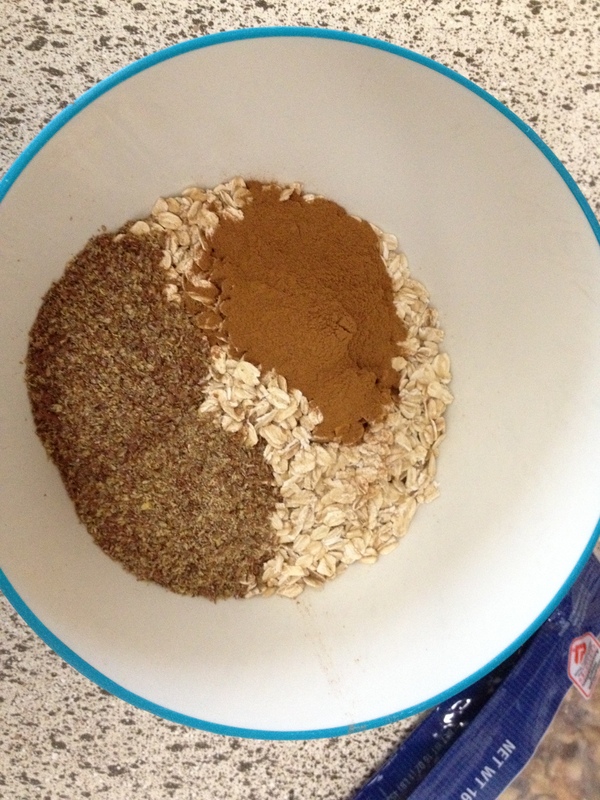 In bowl mix oats, flax and cinnamon. Add maple syrup and coconut milk until all moist. 3. 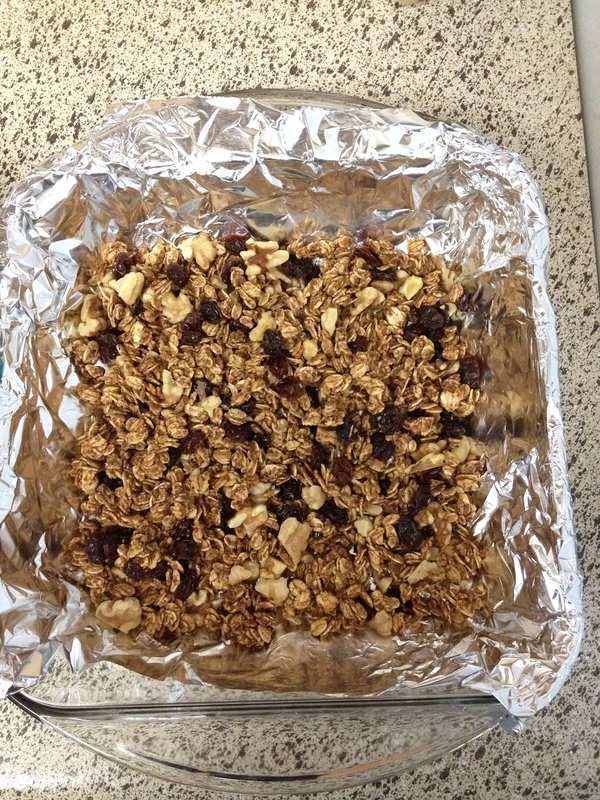 Spray a baking sheet with non-stick spray and pour granola. Bake for 30 minutes. 4. Chop walnuts. 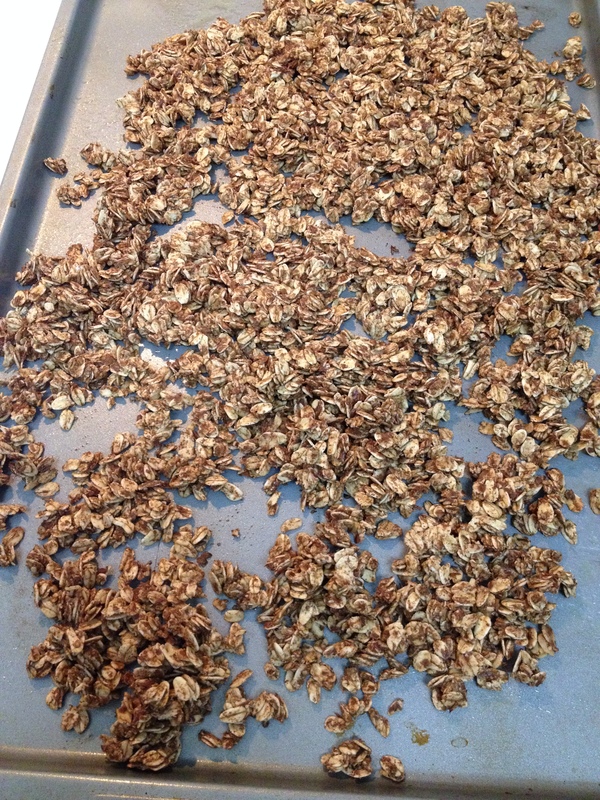 Take granola out of oven and turn up to 275 degrees. 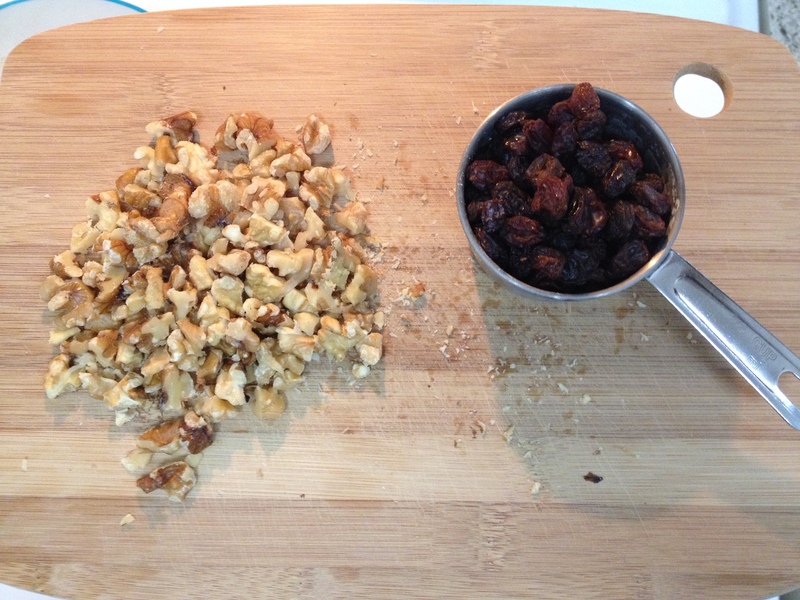 Add raisins and walnuts. 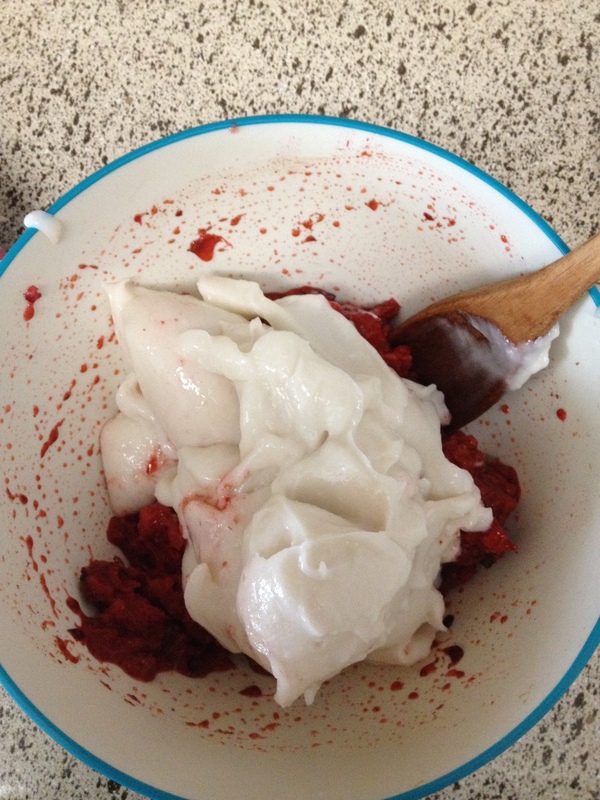 Gently mix then spread evenly. Bake for 20 more minutes. 5. Pour berries into same bowl that granola was mixed in. Using a fork start mashing berries. 6. 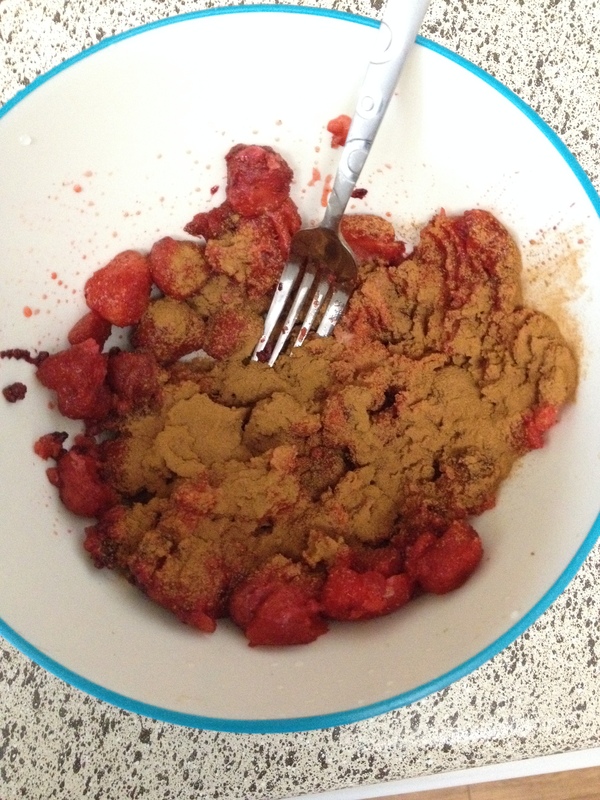 Add cinnamon and mash and mix more. 7. 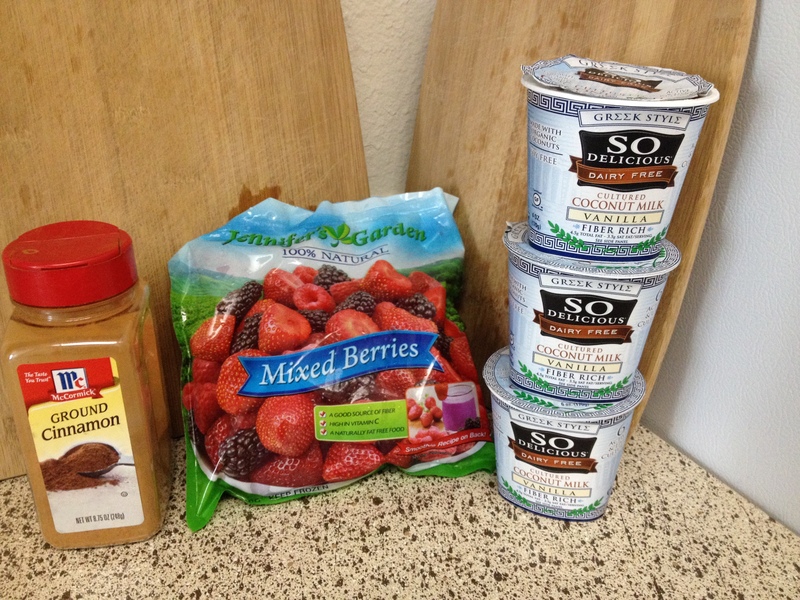 Add all yogurt and mix well with berries. 8. Line a square baking dish or pan with tin foil. 9. 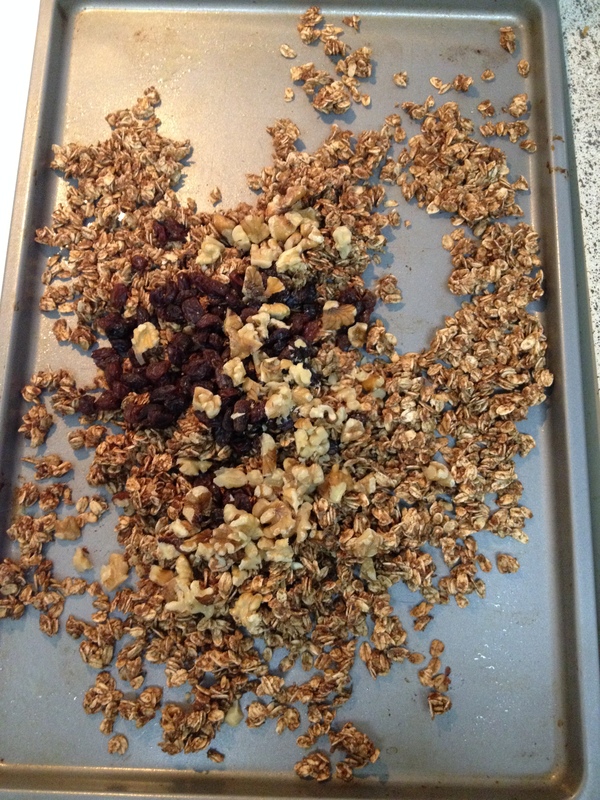 Spread half of the granola on the bottom of pan. 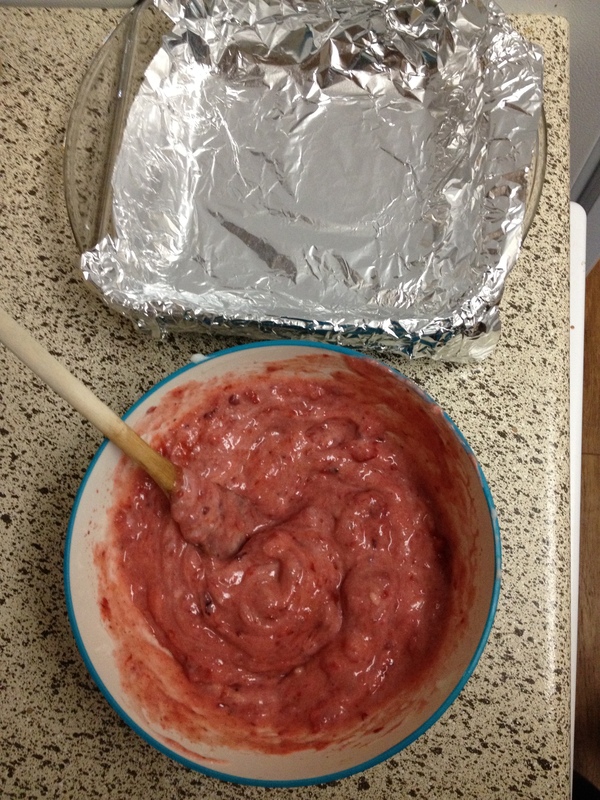 Add yogurt mixture and spread evenly. 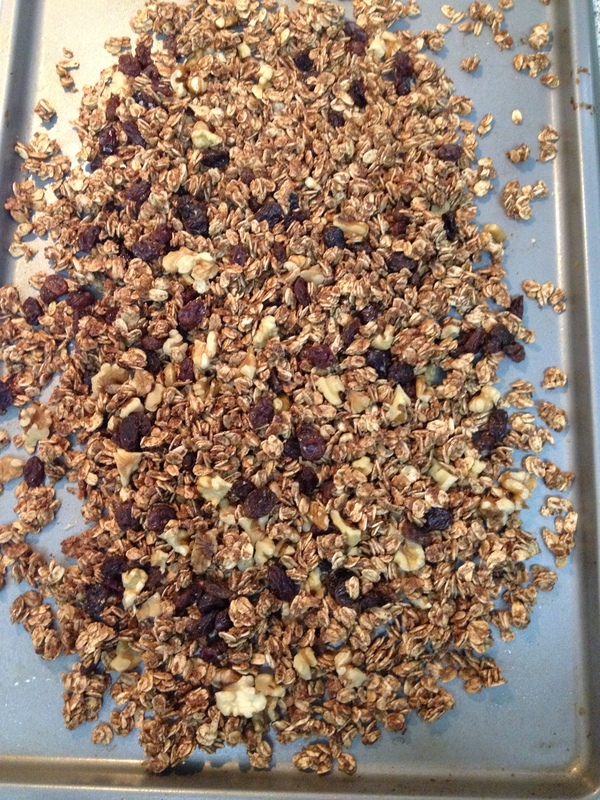 Top with rest of granola and gently press on to top. 10. Freeze until completely solid. This recipe is apart of the So Delicious 3 Course Recipe Contest with Go Dairy Free – check out Go Dairy Free for ideas on how to continue your dairy free lifestyle! Thanks! I know what you mean about the weird stuff! I love making all my own things (even though I do enjoy buying them sometimes too), but I feel virtuous eating homemade rather than store-bought. These looks so cooling and delicious! I’m to cold to eat anything frozen right now, but I’m saving this recipe for the summer! Probably not the right time up in ND to make these, lol, but 80 in Texas it was perfect! Can’t wait to hear if tried/liked them. You can make the granola at least now. That is great any time.